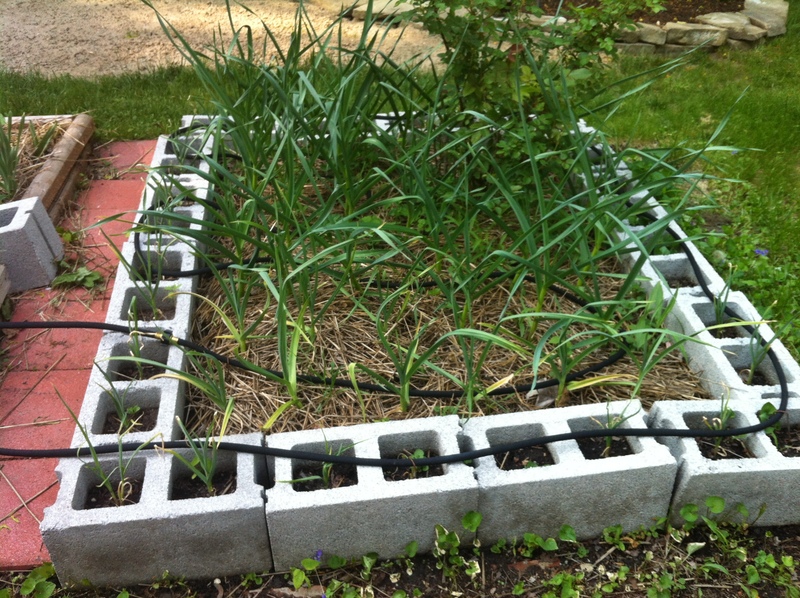 The garlic is doing great! It’s almost shoulder high with beautiful scapes. I have tall tomato plants and one huge green tomato on which I cannot wait to see some color. 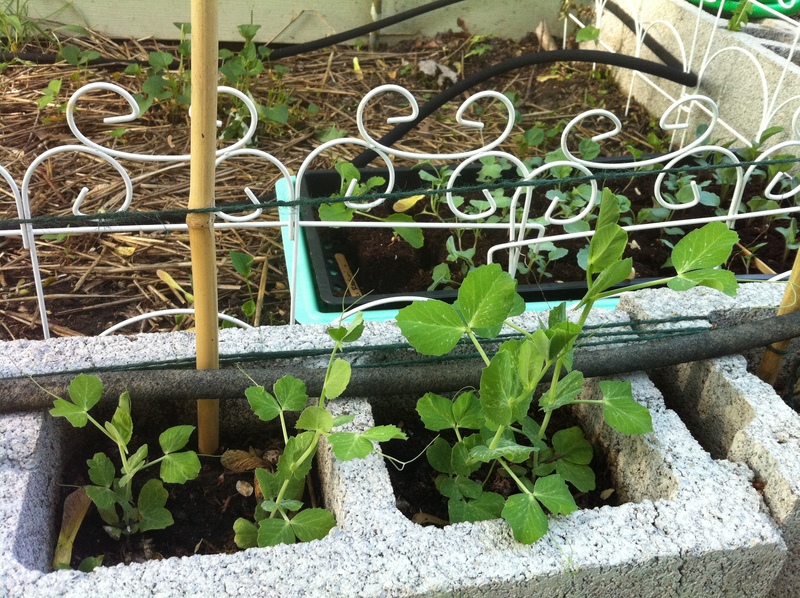 The cucumbers have survived the dogs’ rearranging session and are starting to climb up the trellises. Carrots, radishes, and beets are coming along nicely. 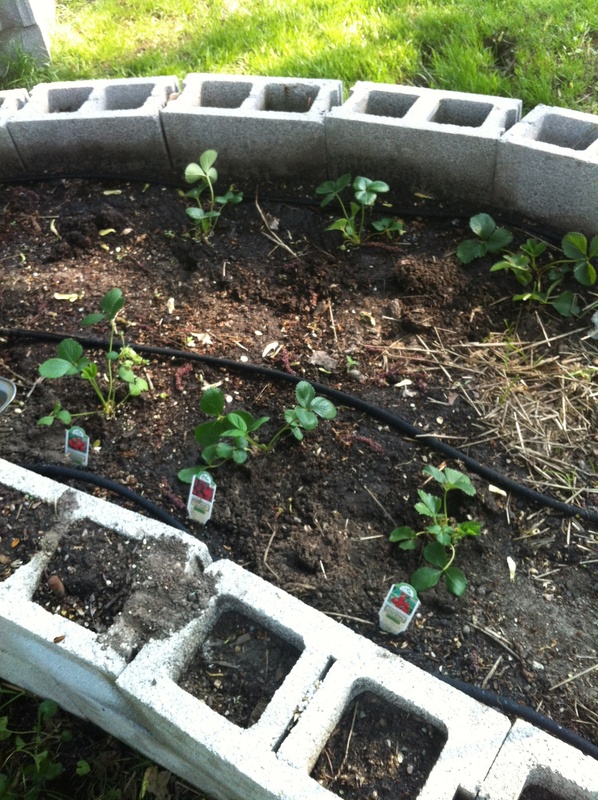 Our strawberry plants are establishing runners. The squash is coming along but is moving much slower than I remembered. 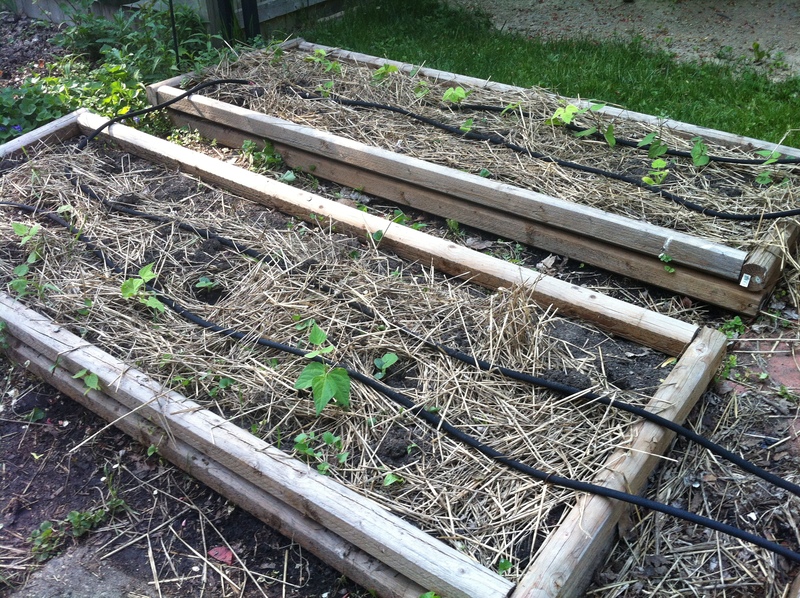 I never put my broccoli, cauliflower, or cabbage in the ground; I’ll try again for the fall. Weeds and Violets have taken over the beds by the garage. The dogs LOVE to climb into the beds and dig around in the loose soil. Garden Updates & First Harvest! 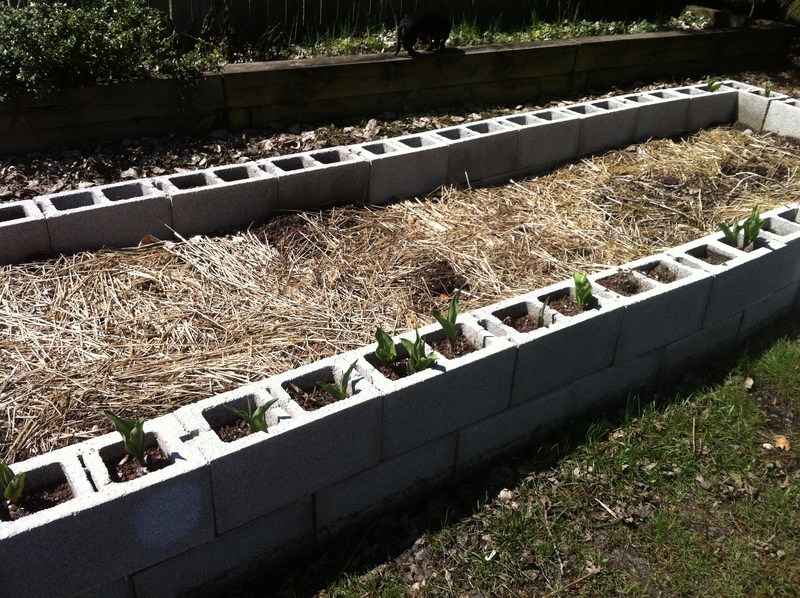 The side beds and a quarter of the u-shaped bed are done. I have to finish the u-shaped bed, the garage bed, and decide if I’m going to start our pumpkin bed. The heat, humidity, and low-energy from the pregnancy have been slowing me down. 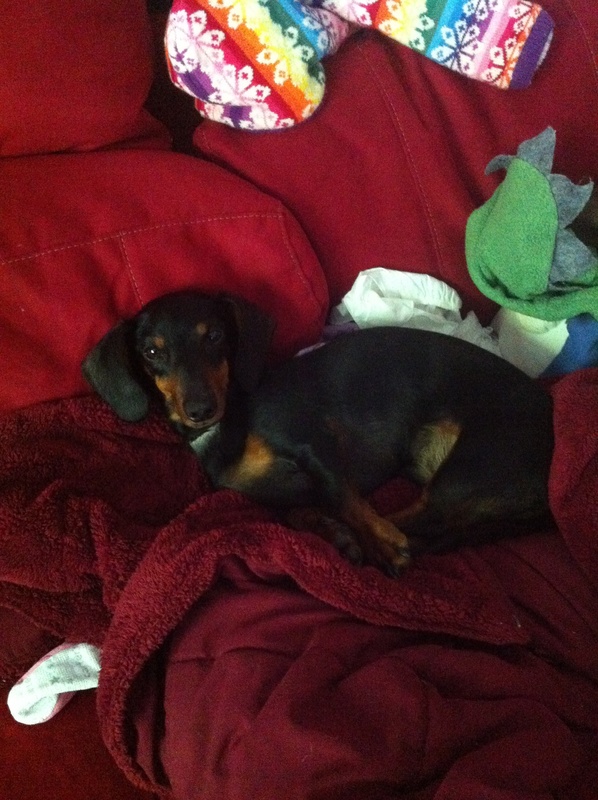 Dashel taking a break from the hot outdoors. 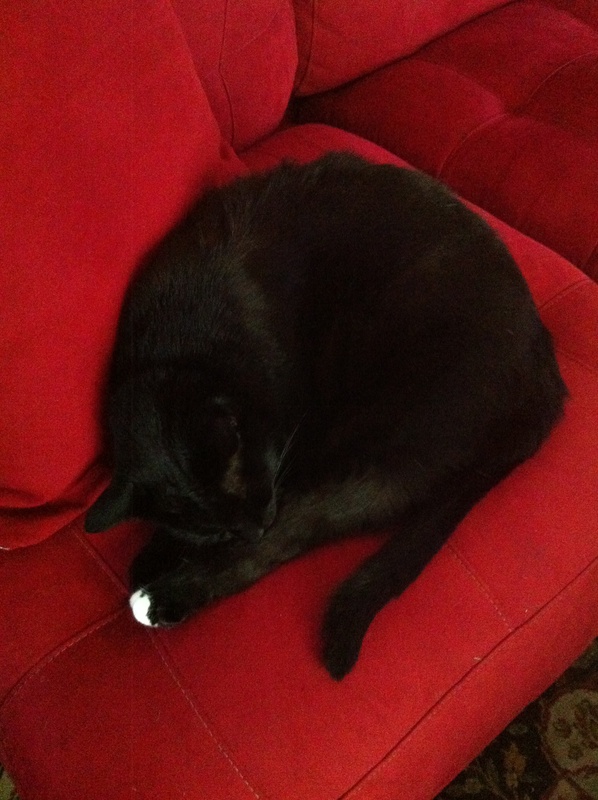 Gir never goes outside but he’s feeling the heat and humidity in the house. Strawberries are in the ground. 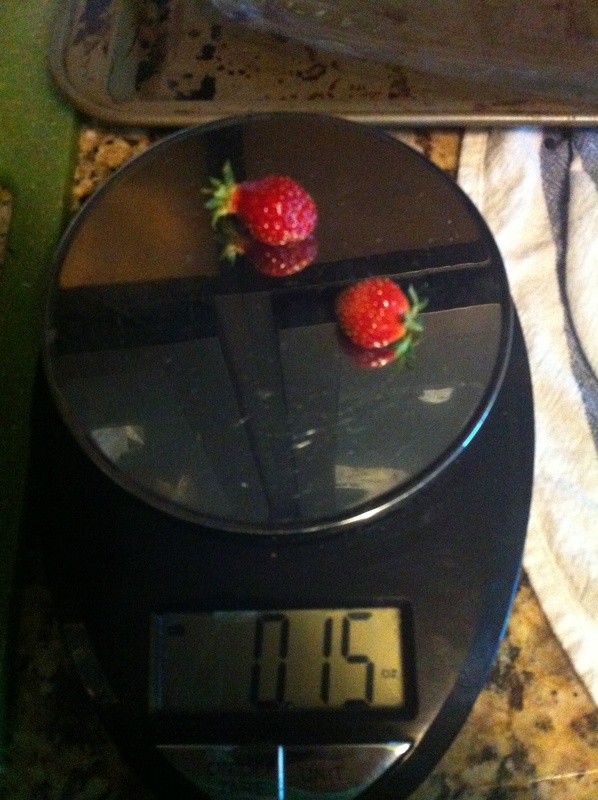 First harvest of the season: 0.15 ounces of strawberries. Very sweet! 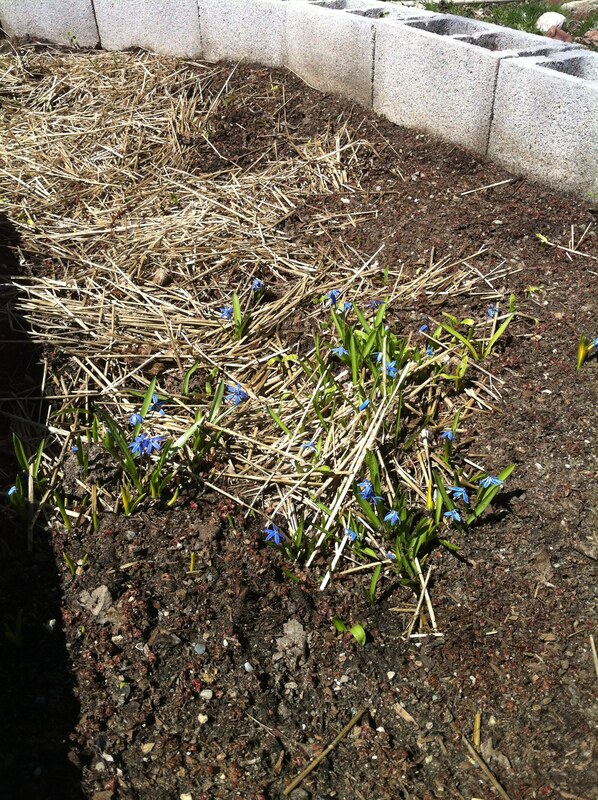 Mysterious blue flowers popping up in the new raised bed. Tulips lining the new garden bed. 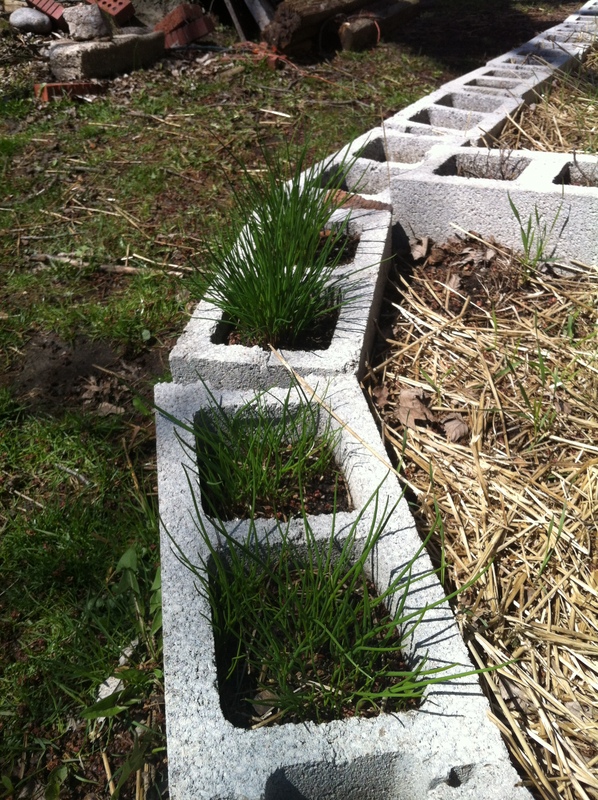 Transplanted chives coming in around the herb garden. One year in a garden!